GammaRay (presented by Skybound Entertainment) and Celestial pictures have announced they will stream a Shaw Brothers movie marathon on Twitch from February 4 to February 8, 2019. The marathon will include 44 full-length features from the Shaw Brothers’ extensive library of kung fu titles, including iconic films such as King Boxer, Crippled Avengers, and Five Deadly Venoms. This viewing event will be streamed globally and exclusively on Twitch, marking the first time Twitch has featured kung fu films. –King Boxer (1972): A student (Lieh Lo) of kung fu meets resistance on his way to a major Chinese tournament. –Crippled Avengers (1978): After the death of his wife, warlord Dao Tian-du (Kuan Tai Chen) turns evil and holds a town in thrall to his reign of fear with the help of his sadistic son. 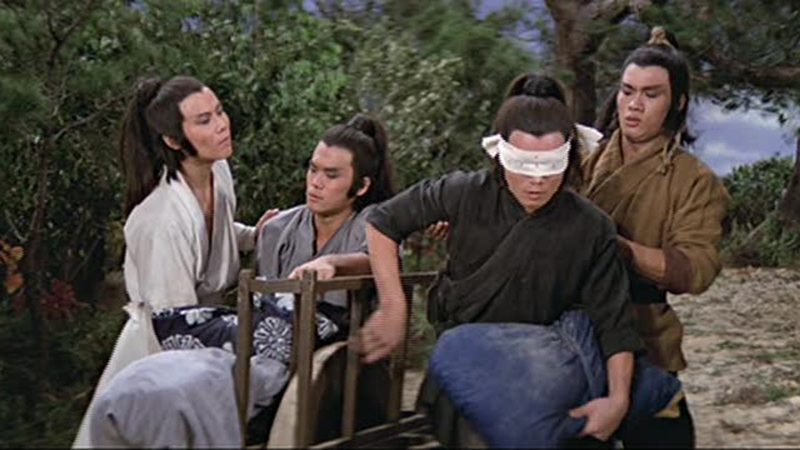 Four of the villain’s victims — a blind man, an amputee, a deaf-mute, and an insane fighter — seek the help of a wise kung fu master as they train to eliminate the tyrant for good. –Five Deadly Venoms (1978): A dying master sends his last student to check up on five former pupils, who each know a special style of kung fu.